Because of unexpected ice on a viaduct, a reporter finds himself involved in an auto accident. He starts shooting photos of the scene when suddenly a man runs toward him from the other car, asking for help. Blinded by the flash of the journalist’s camera, the man leaps into the void. Unlike the Inquisitors of the Catholic Church’s Congregation for the Doctrine of the Faith, who pursued heretics and burned them at the stake, the PISM’s Inquisitors work with prisoners in order to free them. A sentence at the PISM, they reiterate, is not a punishment, but rather a cure. 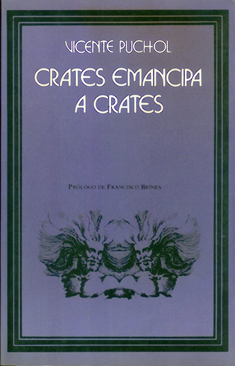 Jaime Villa, who at first believes himself to be completely innocent, must participate in both individual psychotherapy and a collective psychodrama that plays out in an environment of “freedom.” However, this freedom is surrounded by the inmates’ oppressive, suffocating world where everything – even crime – is possible. The novel describes Jaime Villa’s anguished life within the institution’s walls and his ongoing fight to prove his innocence. He struggles against the Inquisitors’ insistence that he allow his unconscious guilt to rise to the surface so that he can learn to accept it, thus freeing himself from the ghosts of his inner world. 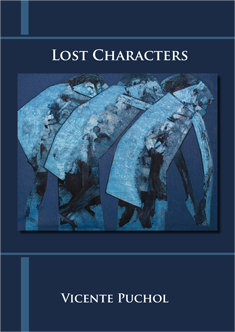 Author's Note: Lost Characters is the definitive version of the first edition of the novel, which was originally published as Crates Emancipates Crates.